Many people cannot believe how simple Ho’oponopono practice is! This ancient Hawaiian healing modality brought to us by famous Hawaiian healer Morrnah Nalamuku Simeona and later on simplified and practically applied by Dr. Ihaleakala Hew Len – with absolutely miracle results. The Power of Taking Responsibility (for your own powers), The Power of Gratitude and The Power of Love. From all them – the Power of Love – the mantra “I Love You” is the most powerful cleaning tool, that we can and should use daily. Love heals, Love dissolves energy blocks, Love resolves all problems and allows our dreams to manifest. But did you know that you can actually increase the power of Love in your daily Ho’oponopono practice? After years of studying personal development modalities, and especially practicing Ho’oponopono cleaning tools and techniques I noticed that certain people have immediate success with practice, while others would get only occasional positive results, while yet another group experienced almost no change. Is that an issue with practitioner’s “genes”, incorrect way of practice or modality itself? Dr. Ihaleakala Hew Len reiterated the simplicity of Ho’oponopono and “just do it” approach. But is there a possibility of “incorrect” way to do it vs. “correct” way? The “light bulb” answer emerged when I’ve researched experiences of multiple participants who practiced meditation for many years and yet grew increasingly frustrated with their lack of progress in personal lives: “I’ve mediated for 20+ years and nothing changed”, reported one. Studying multiple sources detailing such experiences and correlating it with my own observations the conclusion started to appear. My own experience with Ho’oponopono was glowing and almost immediate success at the beginning, little progress for months after and then another wave of solid success – but only after I understood the very important aspect of the practice. The discovered answer applies to any modality that involves any sort of repetitive activity and it applies to Ho’oponopono cleaning mantras as well. When person just mindlessly mumbling the Ho’oponopono cleaning mantras hundreds of times – this usually has almost zero effect. From my own experience when I “lost” myself mindlessly repeating the cleaning words – I neither saw nor felt any difference. There is no cleaning going on. The way our brain and mind works – when faced with any repetitive task (such as saying Ho’oponopono cleaning phrases) our conscious mind inertia tries to “delegate” this task to subconscious to get back to “active thinking” as soon as possible. Have you noticed that you can catch yourself sometimes thinking totally different and often negative stuff when repeating Ho’oponopono cleaning words? You just caught yourself unconscious and on autopilot. The same happens with meditation when mind loses itself in random thinking. The key is your Presence. This is the Power of Presence that Eckhart Tolle was talking about and it is the same as “mindfullness” or “awareness” spoken by countless spiritual teachers and healers. And *that* is the key difference between practicing ho’oponopono mindlessly and “active ho’oponopono”. Your consciousness is activated and is working together with you and the whole universe, vs. you repeating words mindlessly fast alseep with your eyes open. The moment I turned on the light of awareness in my Ho’oponopono cleaning practice – the things started to improve and quite often very quickly. So how do we add the light of PRESENCE in Ho’oponopono practices? It is not difficult – you just need to maintain awareness of your feelings, your inner emotional state while doing the cleaning. For example when something triggers your negativity – you feel it inside – and start cleaning and be aware of your inner energy, your inner feelings, your inner emotional state. You are shining the light of your awareness into your inner being and at the same time with the help of Ho’oponopono cleaning – sending petition to divinity to restore your original, fully balanced state. When you say “I love you” and mindfully aware of your inner emotional energy – the transformation takes place. You may also do it when you feel happy, The Universe loves to embrace you and cooperate with you regardless of the emotional state you are in. Try it – mindfullness of your inner emotions is very powerful addition to your practice to help you dissolve inner energy “errors”. Ho’oponopono is a little known but extremely powerful self-transformation technique. Ho’oponopono originated from Hawaii and was originally taught by Morrnah Nalamaku Simeona. Morrnah was a healer and in 1983 she received a great honor by being designated as a living treasure of Hawaii. 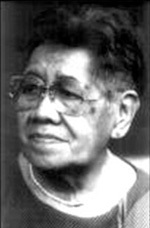 She was teaching Ho’oponopono to small and large groups of people as well as to hospitals, colleges and even to United Nations personnel. She also founded “The Foundation of I, Self-Identity through Hoʻoponopono” to promote principles of Ho’oponopono around the world. Historically Ho’oponopono healing system required the presence of mediator – senior qualified practitioner who would guide a healing process for practitioner. It is often that the group of people need be to interacting with each other in a certain way for the process to take place. Morrnah updated Ho’oponopono in a way that healing and transformation process no longer required presence of any other person but the practitioner himself. Neither any specific interaction is required between practitioner and other people. The miracle powers of Ho’oponopono self-healing and self-improvement practice would still be unknown to the world at large if not for the works of Joe Vitale, published as “The Attractor Factor” and especially his exceptional quality “Zero Limits” book. Joe Vitale is best known as internet marketer, writer and speaker on the subject of self improvement. While internet marketing is something that perceived by many (including myself) with a great degree of skepticism – Joe Vitale’s experience on the subject of self improvement as well as his in-depth research about Ho’oponopono deserves the highest marks. It’s from Joe Vitale’s “Zero Limits” book that the world found out about true miracles and powers of Ho’oponopono as well as about Dr. Ihaleakala Hew Len. 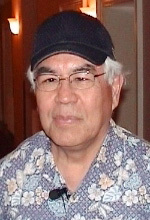 Dr. Hew Len was the most avid student of Morrnah Simeona and practitioner of updated Ho’oponopono technique. He was the first person who got documented and confirmed proof of the healing miracles initiated by the Ho’oponopono process. Dr. Hew Len observed Hooponopono healing powers himself when Morrnah Simeona healed his daughter from painful bleeding shingles (skin disease) that she suffered from for more than a decade without anyone or anything helping. Being traditionally educated university-trained physician he decided to look deeper into the process that Morrnah Simeona was using. He signed into her seminar in 1982 and not without certain degree of struggle (“…she was talking to spirits and sounding nuts!…” – ‘Zero Limits’, page 42) managed to complete the training. She was staying and learning from Morrnah all the way till 1992 when she passed away. Paying utmost attention to her teaching and practices Dr Hew Len managed to simplify and improve Ho’oponopono process even more and with amazing results.